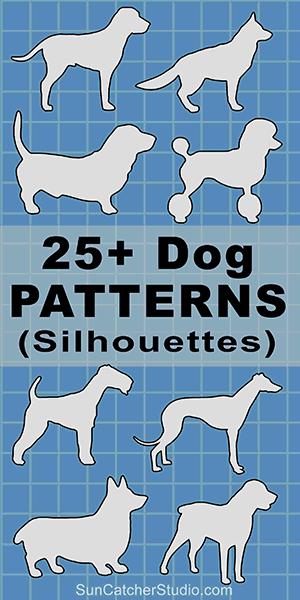 Dog breed silhouettes images, patterns, and templates. Use these printable, downloadable designs for woodworking projects, scroll saw patterns, laser cutting, crafts, vinyl cutting, screen printing, silhouette, die cut machines, coloring pages, etc. Patterns include Scalable Vector Graphic (SVG) templates and designs. Find more Patterns and Stencils.